With a family and career of your own, it may be challenging to take care of your elderly parent like they took care of you growing up. Additionally, elders can have health concerns that are difficult to manage in a home environment without hiring a nurse or other medical aid. Nursing homes are supposed to be safe places where older people can get the care they need around the clock. Unfortunately, nursing home abuse and neglect is a potential issue that can occur, and it is important to be aware of these risks when your loved one is in someone else’s care. Bedrails - Just as protection is needed to keep an infant or young child from falling out of bed, rails on beds are also commonly seen in nursing homes. They are also helpful for additional support while a person is sitting up or adjusting their position in the bed. However, it can be easy to slip into the space between the bed and the rail if the rails are not properly installed or are too large for the bed. This can lead to fall injuries or asphyxiation. Bedsores - Bedsores, or pressure ulcers, appear when blood flow to the skin is decreased due to the pressure of an object against the skin. They more commonly appear on parts of the body with less muscle and fat, such as the elbows, ankles, heels, and tailbone, and they can occur when a patient is bed or wheelchair bound. On patients who have mobility restrictions, it is important for nursing home staff to practice preventative care to avoid bedsores. Infections - The elderly have a higher chance of getting sick due to weaker immune systems, and poor care or improper sanitation can lead to deadly infections. Pneumonia is one of the leading causes of death in nursing homes, and patients who use feeding tubes are most likely to contract it. Your elderly loved one deserves the best possible care. When nursing home staff are being careless and negligent, that compromises the health and safety of your family member. If you believe a nursing home has been the cause of your loved one’s injury or death, contact an experienced Kane County nursing neglect attorney to discuss your case. Call our office at 630-907-0909 to schedule a free consultation. Observe the physical conditions of the facility. If the nursing home you are visiting is consistently dirty and smells foul, consider looking for a new facility. Look for signs of any pain your loved one is experiencing. Bruises could occur because of abuse or a fall which happened due to insufficient supervision. Watch out for any weight loss. This could be a sign of inattentiveness to your loved one’s eating habits or diet. 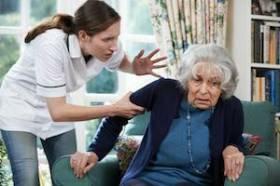 The inattentiveness of nursing home staff members can also lead to your loved ones developing bed sores. These sores can occur if a person is unable to get out of bed, move, or turn over, causing them to remain in the same position for a long time. Look out for emotional abuse, such as being ignored. This type of treatment may cause a resident to experience a change in their mood, sleeping patterns, weight, or appetite. Nursing home staff members should be ready to answer any questions you have. If the staff are not responding to your questions or are deflecting them, then you should take that as a warning sign. If the nursing home is often understaffed or the staff often seems frantic, then you should take that as another warning sign. An adequate number of staff members is important to ensure that residents are taken care of and given an appropriate amount of attention. Residents should never feel uncomfortable or anxious about staff members. If your loved one does not want a certain staff member to serve them without being able to express a reason, that staff member may be treating them poorly. Your loved ones deserve to be taken care of and treated well during the final years of their life. If your family member has experienced any form of neglect or abuse while receiving treatment at a nursing facility, the attorneys of Kinnally Flaherty Krentz Loran Hodge & Masur P.C. are committed to helping you obtain compensation for the damages which they have suffered. 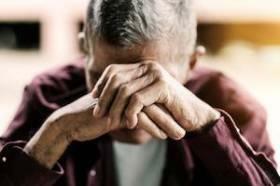 Contact a Naperville nursing home abuse lawyer at 630-907-0909 to schedule a free consultation.